Our structure on this particular project of three blocks of identical flats at The Crofts in Smethwick needed free spanning capabilities to provide a practical space to be utilised as required by the client and the flexibility on site to overcome small discrepancies in dimensions between each of the buildings and the levels of the flat roofs. 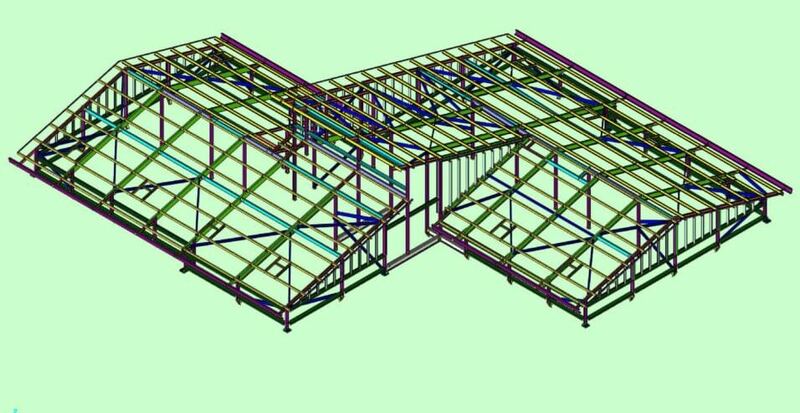 In order to accommodate all of the above (14 storeys up) we used industry leading 3D CAD software to create a virtual model of the required steel frame, from which all necessary information could be extracted. 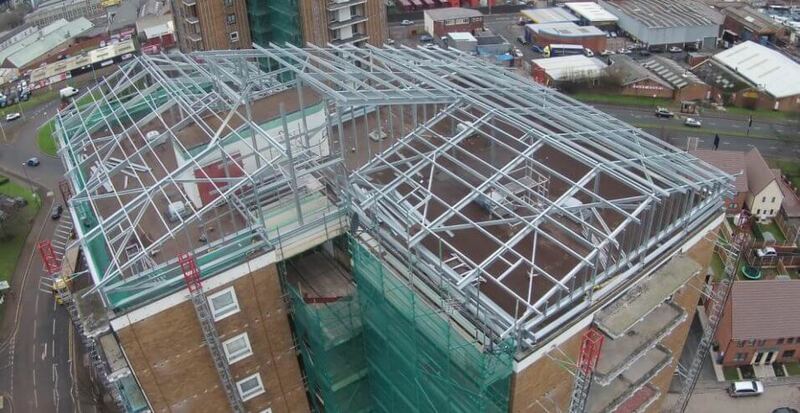 A crane was required simply to lift materials onto the roof, and then the structure itself was totally assembled in situ by William Cooper Ltd of Barnsley, all by hand due to its light weight nature. 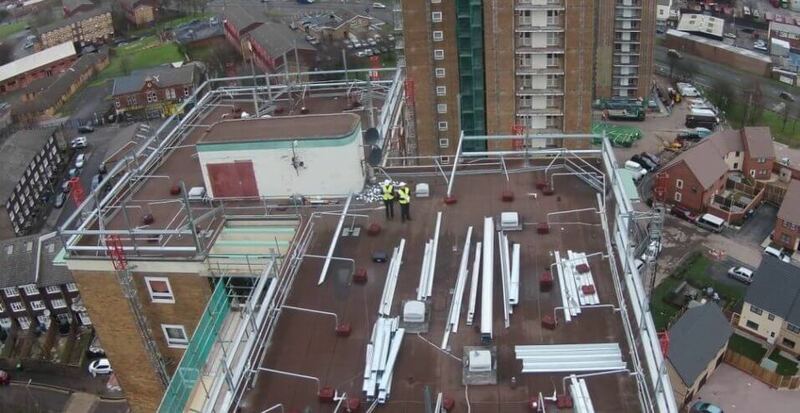 We also made the frame even more flexible and user friendly by using self tapped screw connections which produced a tolerant and forgiving frame and ensured the installers lost no time lining up holes. Do you have some flats that you would like us to look at for you ?